Sennheiser E609 silverSuper-cardioid silver instrument microphone designed for miking guitar cabs face-on and extremely close to the source. Provides isolation from other onstage signals. 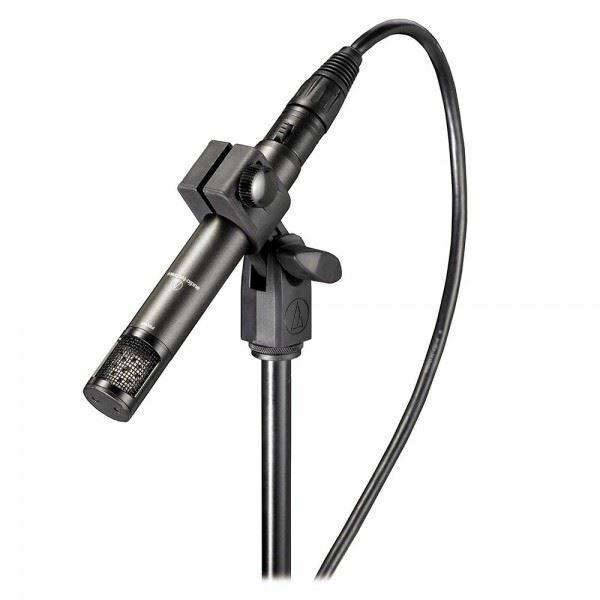 Also suitable for miking drums, especially toms.OverviewThe rugged workhorse with a practical shape.The ..
Sennheiser KK105-S NeumannNeumann capsule head engineering expands with Sennheiser liveperformance engineering. Cardioid (KK 104 S) and Supercardioid (KK 105 S) characteristic. Low susceptibility to handling noise. Built-in, highly effective suppression of popping noises. Easy dismantling for cleani..
Sennheiser E908D Microphone - Saxophones, Trumpets, Drums..
Sennheiser XSW-52 Headmic Set Wireless Headworn Sistem MikrofonThe Sennheiser XSW 52 Headmic Set Wireless Headworn Microphone System memberikan kualitas dan kinerja suara Sennheiser dalam paket terjangkau, mudah digunakan yang ditujukan untuk presentasi, instruksi dan banyak lagi. The XSW52 Headmic ..
Audiocore WL-6420U (2 Mikrofon Bodypack clip on Wireless UHF Kualitas Tinggi)Overview:Jangkauan frekuensi UHF yang luas: 500~900 MHz64 pilihan frekuensi untuk setiap channelKontrol mikro prosessor dan teknologi sintesis frekuensi PLLPenyaring suara dengan sistem anti-interferensi kualitas tinggiLaya..